One thing all new parents have in common is the myriad photos of their little ones on their phones. It makes sense—babies grow so fast, we’ve got to be fast enough with the lens to capture each moment! But once you have five zillion images of your little darling on your device, then what? Before you do anything, make sure you save the images to a secondary (and maybe even tertiary) storage system, such as Dropbox, flash drives, photo storage sites, or whatever works for you. We hear too many stories of people dropping their phones in the pool, and we always think it won’t happen to us…until it does. Back up those photos ASAP. 2. Create gifts on sites like Shutterfly and Snapfish. You’re only limited by the gift choices available, and these sites have everything from throw blankets to mugs to tea towels to jewelry. If you time it right, you could even find super sales to purchase photo gifts at steep discounts. These photo-specific creations will make great gifts for grandparents, parents, and other family members and friends. 3. Make mini photo albums for your baby to look at later. Babies and toddlers love looking at photographs of themselves and family members…but do you really want to sacrifice your phone for this? Give Baby something more tactile—get twenty to fifty 4x6 prints made and put them in a mini album, something you can often find for $3 or less at places like Target or Michaels. Just be sure to supervise Baby with it. 4. Put together a Baby’s First Year video. You can use photo and video-editing software that comes with your computer or phone, or go online and use something like Adobe Spark. Take favorite snapshots and include them in a short video commemorating Baby’s first year, add a soundtrack, and voila! Even the iMovie app, which doesn’t allow a ton of options, could be a really fun use for video and photo files from your phone. 5. Design cards for family members. 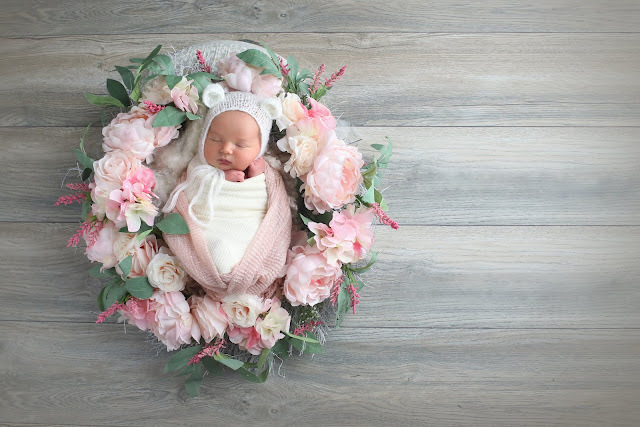 There is no better alternative for Mother’s Day, Father’s Day, and birthday cards than personally designed ones that include photographs of your baby with the card recipient. We all love Hallmark and Papyrus, but a card with your baby’s image is a true keepsake. Finally, despite all the developments in phone-camera tech, nothing beats professional shots. Snap away with your phone but make sure you get some professional portraits done of your baby. The Little Footprints program at KLJ Studios is a fantastic way for busy parents to remember those important milestones and capture them in frameable, keepsake photographs. This article from The Atlantic [link: https://www.theatlantic.com/magazine/archive/2018/07/the-dangers-of-distracted-parenting/561752/ ] discusses some of the problems with how married parents have become to their phones. While taking great phone photos of Baby is definitely important, also remember to give Baby plenty of face time (not FaceTime!) to encourage healthy development and bonding.